In Prosecuted but not Silenced, Maralee McLean exposes the dirty secret that most of the public is blissfully unaware of. In my view, cases alleging criminal acts do not belong in family court. They should be investigated by law enforcement. Research shows children are placed in full or partial custody of their identified sexual abuser 90% of the time. 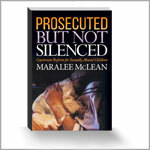 Moments with Marianne I-Heart radio show with host Marianne Pestana and special guest Maralee McLean we discuss her new book Prosecuted But Not Silenced: Courtroom Reform for Sexually Abused Children. Every Act of Courage Counts! This book was recommended to me by an elder in my church, a man of great spiritual virtue and insight, who knows I am going through a terrible custody battle with an abusive ex-husband. So I knew that this book was going to be important for me to read - however, nothing could have prepared me for the profound experience of hearing Maralee and Ami's story. I wept through most of the book and was eerily reminded of my ex-husband by her descriptions of her abuser. And I was horrified to hear that my own experience with a judicial system turning it's back to the abuse of women and children, particularly by "charming" and "successful" men (sociopaths), was so prevalent. In other articles she has given good remedies for the courts - for example, training in dealing with these manipulative types of abusers is an absolute necessity! Maralee's courage to stand up and hold the system accountable is a great gift to all of us who are facing similar situations. My heart still cries for Maralee and Ami and I can only imagine their pain. She was so diligent in keeping records of all the evidence for her case, which is very difficult to do because the situation can be so overwhelming - it is a deep catch-22 the system puts mothers in, which can be terrifying. She should be applauded for her strength to keep going and tell her story in this book even when it seemed everyone was against her. 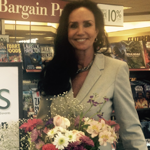 Maralee isn't afraid to be vulnerable in her honesty, while using facts and evidence to support her pleas for help. 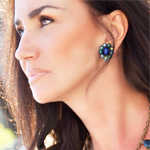 This is a must read for women in similar situations and will give you strength! Thank you Maralee for sharing your faith - we all must keep our faith and allow our Father to see us through even the greatest trials against the evil of others. Together our voices speaking the Truth will eventually lead to justice, even if it takes many years - every act of courage counts! 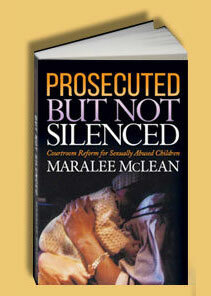 I read this book because the author, Maralee McLean, is a childhood friend of mine. We recently reconnected after many years, and she told me of the horrible nightmare she had lived through, and asked if I would like to read her book. Although I was not really surprised to read of the gross negligence within our justice system, I was sickened by the ineptitude and irresponsibility of those in power who are entrusted with making sure our children are protected from abuse, and punishing those who abuse them. Even when confronted with the undeniable truth, they would not back down, and continued to subject this child to the horrors of her abuser. I was also struck by how Maralee grew from a naive young mother, who believed that those in the position of power would help her, to a brave, strong, stubborn, never say die woman, who would not give up on her daughter at all costs. I am so proud of her. What is so sad is that her story is not an isolated case. Anyone who is in social services, law enforcement, or judiciary who works with children should read this book. Anyone who is a parent should read this book. Thanks to people like Maralee, this issue is being brought to light and will help other victims who find themselves caught up in the nightmare. Riveting. Poignant. McLean tells a gut-wrenching story that no mother should ever have to endure and no child should ever have to live. Well-written account of what happens in Family Courts across the country and around the world when protective parents (primarily mothers) bring to light the revelations of their young children of being incested by their father. Not only is the child kidnapped from her protective mother, the child loses her childhood to the revenge of the abuser. Sadly, this mother and daughter will be healing for many years to come while the father is never held accountable for his gross manipulations of professionals charged with protecting children. A must read for everyone working in the Family Courts. It is time to protect the children. Healing is possible. This is one way to begin. This is an incredible story of a mother's devotion to her daughter and truly believing the child against all odds. In this book, you will read how attorneys, judges and even law enforcement officers failed to protect this innocent child from receiving what no child should ever endure. You will wonder at how this mother was able to stay strong in the face of so many injustices to her and her child, one chapter after another; you continue to think at last "a savior" has come. The pages of this well written saga will grip your emotions and exacerbate your reasoning with a corrupt legal system which truly does not believe the children. You will finish this book quickly and then want to become involved to help the truly innocent children from being victims of their father's ongoing sickness and the system which allows it, while condemning the very person who has tried to protect the child. My hope is that the people within the court system will read this book and learn from the mistakes made in this case, as well as many others, across the country. This book will break your heart and change your perspective on child abuse and social service, law enforcement and judicial systems. Our civil servants are all too human, as it turns out, and children seem to suffer almost as much at their hands as at the hands of their abusers. I was surprised to find the system so slow, cynical and expensive and victims so helpless in the weight of it all. I picked up this book, like the other reviewers, meaning to stretch it out over the next week but read it in two days time, hoping help would come with each new page. It is well written and compelling and will make you aware of some of the many people suffering in this world. I am glad Maralee is out there, fighting still, and that some light has been shone on this issue and it's many victims.